I absolutely love blue and green tones on the nails, especially as we get into much warmer weather here in New Zealand. I recently got this shade in a Cherry Culture haul I did and I pretty much got it onto my nails as soon as I could! 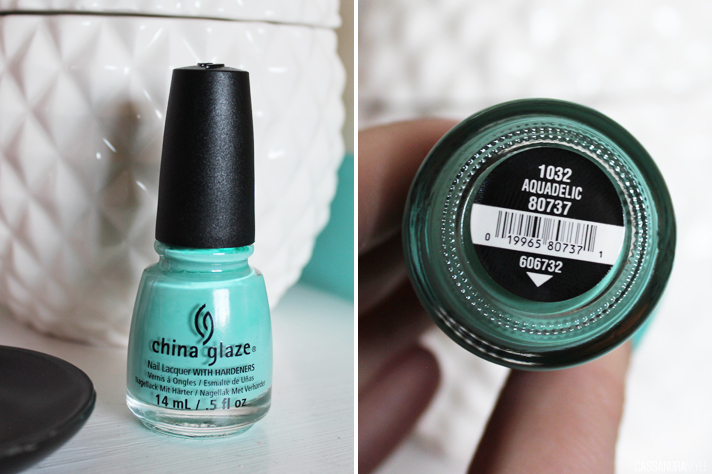 The shade in question is from China Glaze and it is from their Electropop collection and is aptly called Aquadelic. A few China Glaze polishes I have used in the past have left me a bit disappointed as I found they chipped pretty much the day after, but this one totally changed my mind as this lasted a good 4 days before there was any awful chipping going on. I used two coats as per, and the colour came out looking just as amazing as I had hoped! Have you got this shade in your collection? Do you have a favourite turquoise shade you love?